IGAU Recruitment 2019 - Below are various recruitment notifications published by Indira Gandhi Agricultural University (IGAU/IGKV) Raipur, Chhattisgarh / igau.edu.in. As of now, we don't have any active recruitment notification by IGAU featured here. We may update as soon as the organization announces a new job notification. If you are looking for any information related to previously organized recruitment drives by IGAU, you can browse through previous job notifications mentioned below and get the new updates or information you are looking for. IGAU Recruitment 2019 - Job notification for TSG Member & DEO Posts in IGAU, Raipur, Chhattisgarh on Contract Basis. 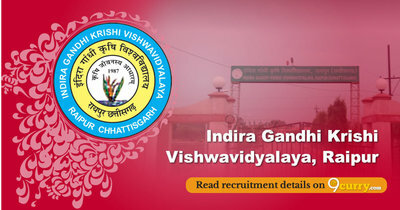 Applications are invited by Indira Gandhi Agricultural University (IGAU/IGKV) Raipur, Chhattisgarh on or before 15 Mar 2019 for 8 vacancies. IGAU Recruitment 2019 - Job notification for Guest Teacher Posts in IGAU, Chhattisgarh. 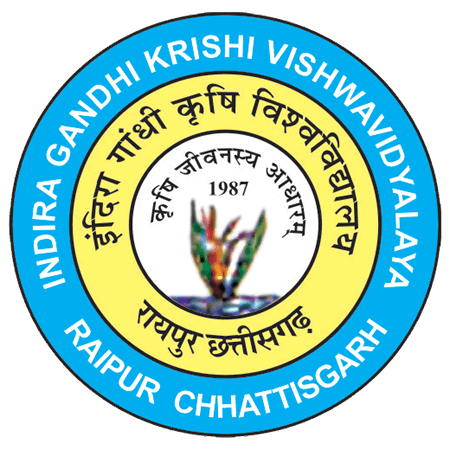 Applications are invited by Indira Gandhi Agricultural University (IGAU/IGKV) Raipur, Chhattisgarh on or before 21 Feb 2019 for 3 vacancies. IGAU SRF Recruitment 2017 - Job notification for Walk in Interview for SRF Vacancy in Chhattisgarh under a Project NICRA on Contract Basis. Candidates are invited by Indira Gandhi Agricultural University (IGAU/IGKV) Raipur, Chhattisgarh on 20 Dec 2017 at 11 AM for 1 vacancy. IGAU JRF Recruitment 2017 - Job notification for JRF Vacancy under BRNS funded ad-hoc research project “Improvement of Traditional Rice Varieties of Chhattisgarh through induced mutagenesis for reduced height, early maturity and nutritional enrichment” on Contract Basis. Applications are invited by Indira Gandhi Agricultural University (IGAU/IGKV) Raipur, Chhattisgarh on or before 04 Dec 2017 till 4 PM for 1 vacancy. Interview will be held on 6 Dec 2017 at 2:30 PM. IGAU Recruitment 2017 - Latest job notification for Field Assitant in Dept of Genetics & Plant Breeding (Mullarp) in Raipur on Contract Basis. Applications are invited by Indira Gandhi Agricultural University (IGAU/IGKV) Raipur, Chhattisgarh before 10 Aug 2017 for 2 vacancies. IGAU Recruitment 2017 - Latest job notification for Technical T-1 Post in Dept of Genetics & Plant Breeding in Raipur on Contract Basis. Applications are invited by Indira Gandhi Agricultural University (IGAU/IGKV) Raipur, Chhattisgarh before 10 Aug 2017 for 1 vacancy. IGAU Recruitment 2017 - Latest job notification for Field Assistant in Dept of Genetics & Plant Breeding (Dhaan) in Raipur on Contract Basis. Applications are invited by Indira Gandhi Agricultural University (IGAU/IGKV) Raipur, Chhattisgarh before 10 Aug 2017 for 4 vacancies. IGAU Recruitment 2017 - Latest job notification for Guest Lecturer Vacancy in Kanker (CG) in Chhattisgarh on Temporary Basis. Applications are invited by Indira Gandhi Agricultural University (IGAU/IGKV) Raipur, Chhattisgarh before 27 Jul 2017 for 6 vacancies. IGAU Recruitment 2017 - Latest job notification for Guest Lecturer Vacancy in Korea (Agriculture College) Chhattisgarh in Chhattisgarh on Temporary Basis. Applications are invited by Indira Gandhi Agricultural University (IGAU/IGKV) Raipur, Chhattisgarh before 27 Jul 2017 for 7 vacancies. IGAU Recruitment 2017 - Latest job notification for Technical T-3 & Junior Clerk Post in Dept of Genetics & Plant Breeding in Raipur. Applications are invited by Indira Gandhi Agricultural University (IGAU/IGKV) Raipur, Chhattisgarh before 10 Aug 2017 for 4 vacancies.